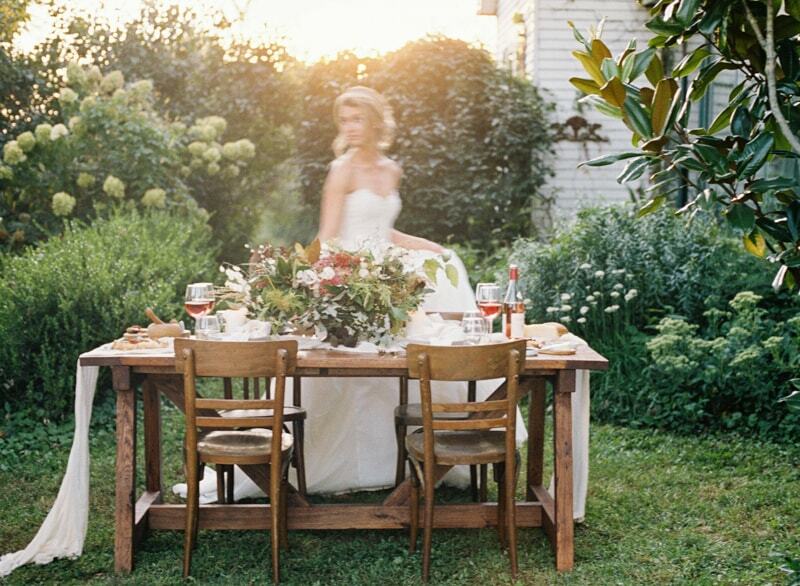 FarmHouse Wedding Inspiration. When you hear the term “farmhouse wedding,” images of barns, burlap, and boot-loving beauties probably fill your imagination but this styled shoot takes the farmhouse look to another gorgeous level. With its neutral color palette and heaps of unique florals, this team brings the softness and the sophistication to the serene countryside. Hazelfield Farm in Worthville, Kentucky, is the beautiful farmhouse that inspired this shoot. The team even incorporates flowers foraged at the working farm itself. The invitation suite first gives us a glimpse into the cream, green, mauve, and hint of gold color palette used to inspire this styled shoot. The fair-haired bride looks ethereal with her soft updo, strapless lace gown, and ultra-long veil. She also dons dramatic eye makeup balanced by a soft lip and delicate accessories. 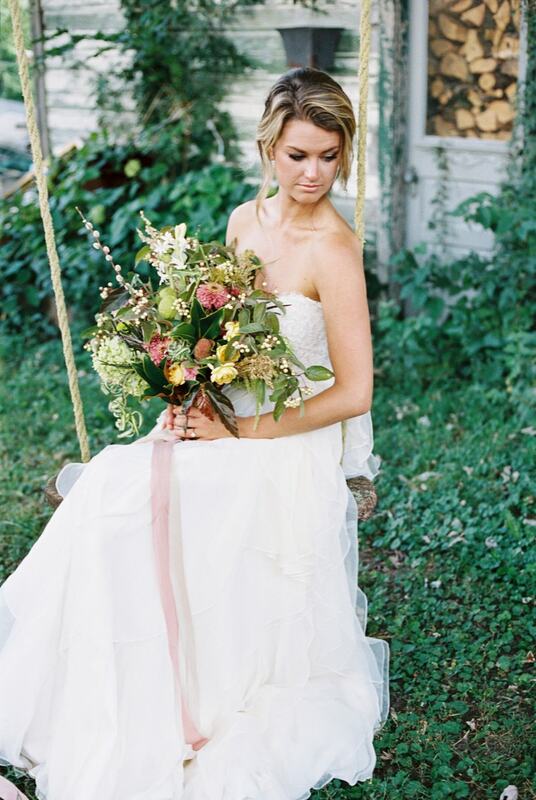 Her bouquet is full of colorful blooms that provide texture and variation to create a rustic, yet romantic impression. The couple hold each other’s hands underneath a vine-covered natural arbor ideal for an intimate ceremony scene. 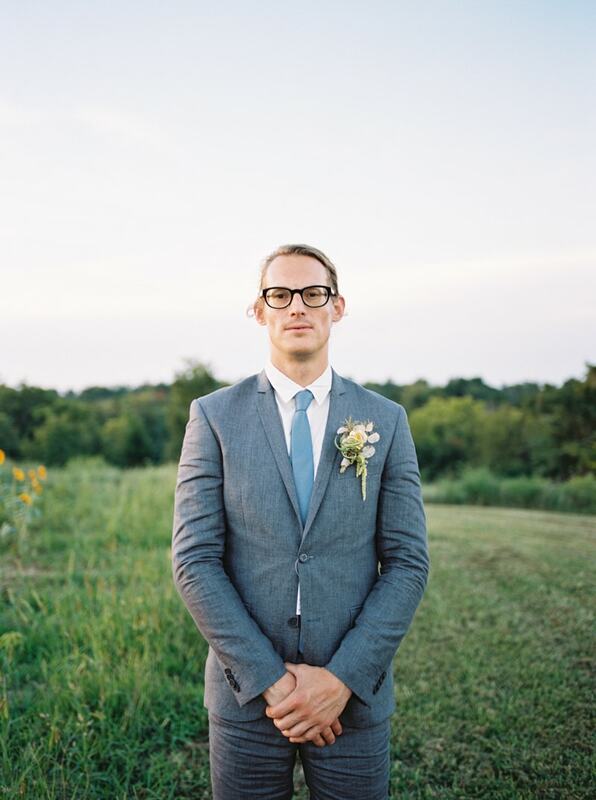 The groom complements his bride in a gray tuxedo, light blue tie, brown shoes, and statement spectacles. 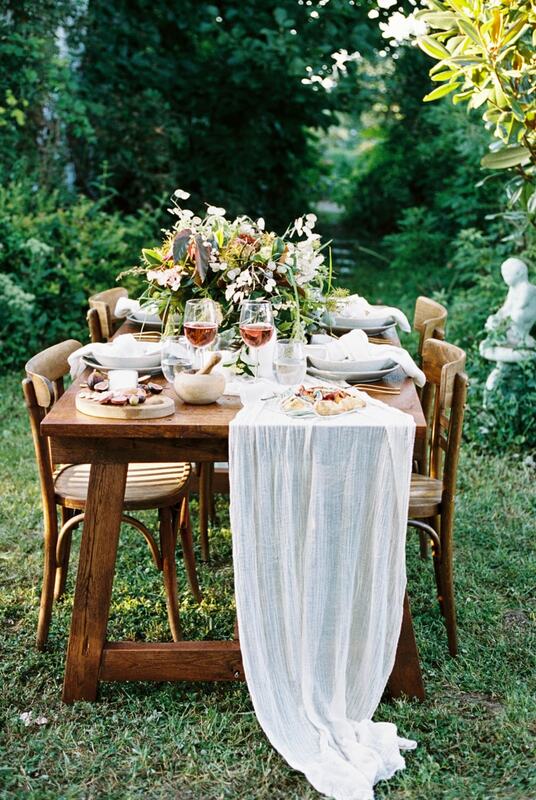 They walk hand-in-hand toward their natural hand-built farmhouse table. The piece is draped with soft white fabric that serves as a unique runner. 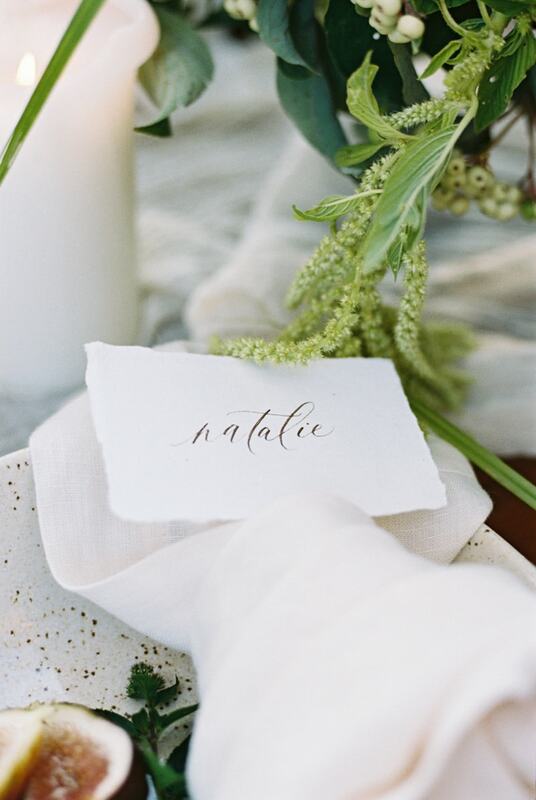 Each place setting includes local touches such as figs and berries, which sit atop a blue dinner plate and speckled white salad plate. A knotted napkin and silver flatware complete the presentation. The table’s centerpiece mirrors the bridal bouquet with all of its wild and rustic-inspired blooms. The collection is aptly accented with white candles. An intimate gathering of loved ones might feast on a tasty selection of meats, cheeses, and a beautiful tart. 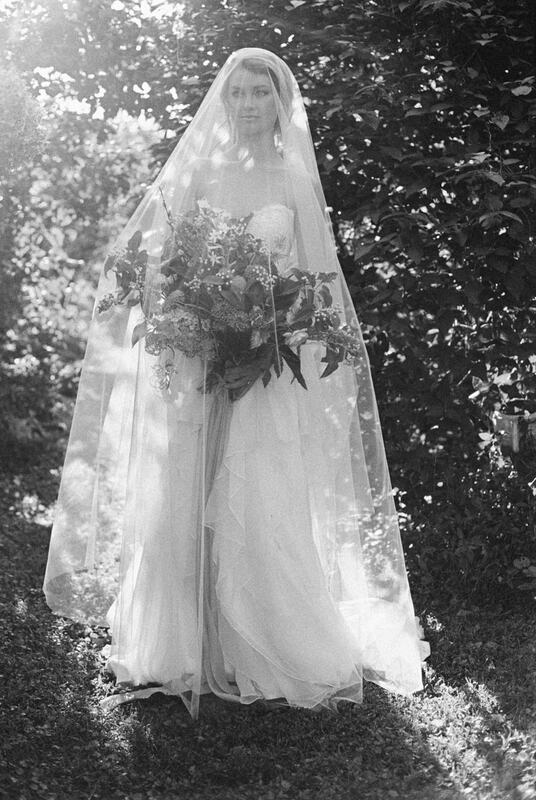 The bride removes her veil so she can enjoy the setting carefree, including pausing at a swing where she displays her bouquet. 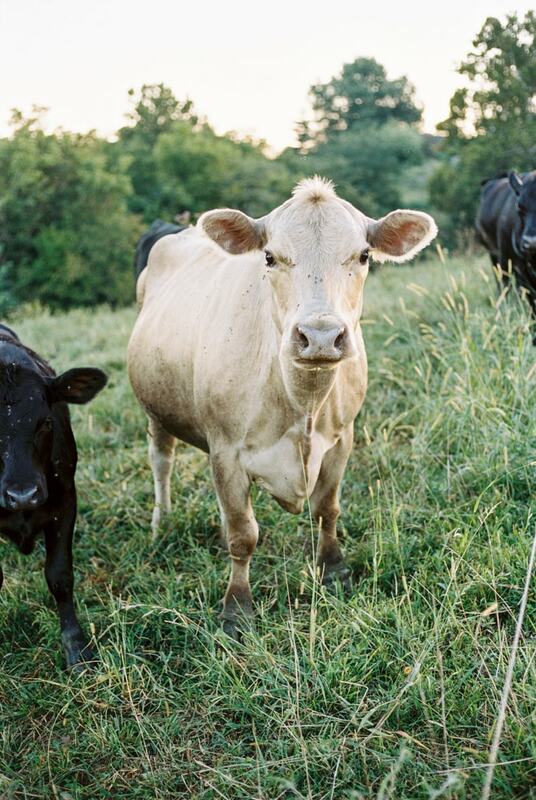 The cows are even anxious to see the entire wedding look come together! The small details are what really make this farmhouse wedding exceptional. Not only is the paper suite soft and delicate but the boutonnieres are creatively arranged with color and texture in mind. 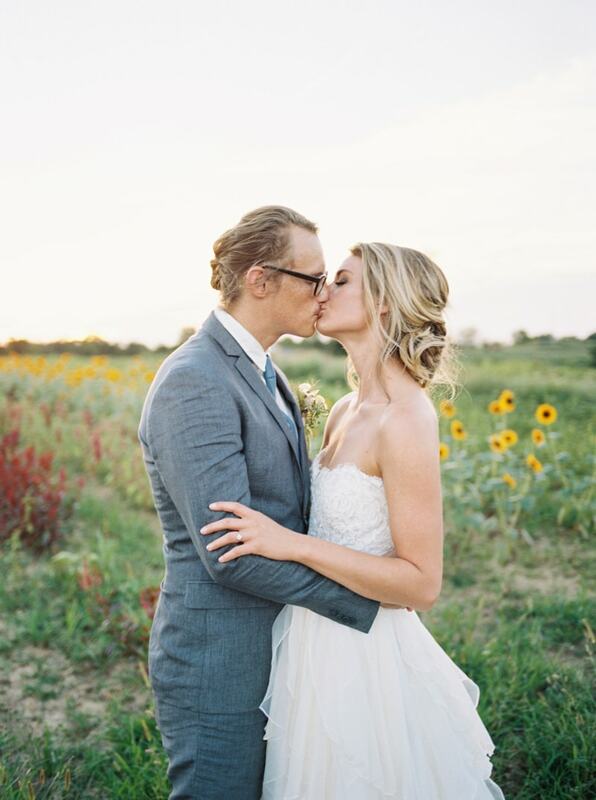 The couple share a tender moment in front of the can’t-be-missed sunflowers before the bride kicks off her shoes and runs barefoot in the grass. She then catches up with her groom to walk the remainder of the property together. This farmhouse styled shoot has all the trappings for a typical farmhouse wedding but its unexpected touches, such as figs, modern fashion, and unique flowers, transform it entirely. The style implores couples to explore and conceive the possibilities for their special day. What’s not easily seen or realized can be brought to life with just a twist of the imagination.